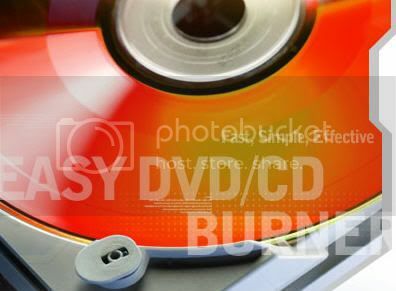 Easy DVD/CD Burner is a simple and easy-to-use DVD & CD burning software for Windows. With this burning program you can create high-quality data DVDs and CDs, containing your files and folders. You can also create an ISO image that can be used later to burn the same CD as often as needed. Full Drag and Drop support, Creating multisession discs, On the fly recording, Making bootable DVD and CD, Preventing bad burns and CD creation errors (BURN-Proof, Just Link, and OPC technologies) and more are all included in the new version of Easy DVD/CD Burner. With 4Media ISO Burner, burn ISO file is not a difficult thing.Not only can the ISO Burner tool help you burn ISO file into CD/DVD disc, but also these image formats (BIN, CUE, IMG, MDF, NRG, CDI, B5i, B6i, DMG) can be burned.also program act as an eraser tool. McFunSoft Audio CD Grabber is a CD grabbing utility program that allows you to rip audio-CDs, to rip audio tracks from a CD and save them to your hard drive as various audio formats, like MP3, RAW, OGG and other. With the program, you can record music, voice or other sound you hear such as voice from microphone, webcasts from the Internet, music played by Winamp Windows Media Player, Quick Time, Real Player, Flash, games, etc. You can also make your own WAV/MP3/RAW/OGG files and extract audio stream from Internet Streaming Media and save them as WAV, MP3, RAW or OGG files. Rip audio tracks from a personal CD and save them to your hard drive in various digital audio formats. Meanwhile, it provides a good many of configurable parameters for audio and video file formats. You can adjust parameters of object file such as bit rate, resolution and channels as you need. It also allows the editing of ID3v1 and ID3v2 labels for WMA and MP3 audio formats. 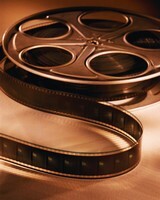 Moreover, it allows conversion of specific clips/chapters on a DVD disc. The user can also choose required channels, subtitles and angles. It provides rich profiles for popular multimedia devices such as iPod, iPhone, Apple TV, PSP, PS3, mobile phone, Windows Mobile, Portable Multimedia Device etc., enables you to convert DVD to their respective formats supported. Joboshare DVD Ripper Platinum will bring you a more convenient watching and hearing enjoyment! DVD neXt COPY - The neXt generation of DVD COPY software. The program lets you make backups of all your DVD movies. It lets you preview tracks before and during copying, supports all dual layer and single layer disc and burners, lets you copy full multi-channel audio (Dolby Digital 5.1, DTS), supports both NTSC and PAL DVD movies. DVD neXt COPY is capable of reading with one drive and burning with the other. You can also copy movies to your IPOD or PSP. The software supports both NTSC and PAL DVD movies, as well as all SCSI, IDE, USB DVD burners/recorders on the market. It also supports 1x - 16x speed blank media and playback can be either on your home DVD player or your PC. Because of the constant changes to DVD equipment, movies, formats, etc., DVD neXt COPY was designed using the new built in update technology, neXt Tech™ and is updated on a frequent basis. This enables the software to meet the challenges of keeping up with the latest technology on the market. Every time the software is updated, the user is notified of the update through the “Dynamic Window” in the Main Control Panel of the software. He can then download the latest version, at no cost, and continue to copy his latest DVD movies. DVD neXt Copy is Win XP, Win X64, Win VISTA compatible. Copy both audio CD and data CD with best quality. Grab audio tracks from CD and save them to your hard drive in various digital audio formats, like RAW, OGG, MP3 and WAV music files. Extract digital audio tracks from an audio CD into sound files on your hard disk. Write files to CD-R media. Erase the old data from CD-RW. Name the files which you want to grab, using information received from the CDDB source. 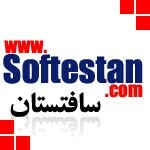 Change and add the information obtained from the audio sources such as name of artist, album and tracks. Visually judge the progress of the ripping process. Why choose CD Duplicate Master? Logs record the operation history. Easy to use interface is suitable for both professional and newbie. Continued updating is available for registered users. Professional and amiable customer service. With simplified copy and burning capabilities, AoA DVD COPY is ideal for consumers who want a fast, easy way to protect and share their personal DVDs. Simply press one button and you can copy your DVD movies to your hard drive or to DVD+R/RW discs. * Copying a DVD is simple - Insert a DVD and click the "Start" button. * The User Guide contains additional information and explains the software in greater detail. Nero Burning ROM is the professional solution for burning your audio, data, and video discs, backing up entire discs, and much more. Features many advanced settings and options and supports a wide range of formats. Audio plugins included are: WAV, M4A, OGG, MP3, WMA and FLAC. Nero Express is offered as an optional feature. Nero Recode allows you to recode non-copy-protected DVD movies to DVD or hard drive while maintaining optimal quality. You can recode entire DVDs while retaining the original menus, recode the main movie, or convert DVD movies and other video formats to Nero Digital™ h.264. This pruned down, streamlined edition takes up ~75MB of disk space with very little system integration. Nero Scout and autorun entries are deleted and no DirectShow filters are registered. Basic functions have been tested under 32/64bit Vista & XP but there is no guarantee it will work on all systems. - BluRay ripping and burning have not been tested at all. - VCD compilation is not supported. - The latest Betamaster keygen is loaded with the installer so some AVs may report it as a trojan. CD Copy Master is a useful CD copy utility. 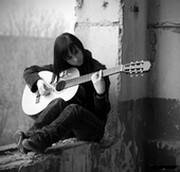 With the program, you can copy all kinds of CD disc, and the copied CD would be all the same with original one; you can also use CD Copy Master to copy audio tracks from CD on your hard disk; rip audio tracks from a CD and save them to your hard drive in various audio formats, like MP3, WMA, OGG and other, and create custom audio CD from MP3 , WAV, OGG and WMA files; and erase rewritable discs.